After Read this Book, Please Share it. Bangla Islamic Hadith/Hadis book Sahih muslim sharif/shareef free download in pdf format all parts free. Sahih Muslim is the most authentic book of Hadith after Sahih Al-Bukhari and contains 7,563 Ahadith. The Muslim Scholars have agreed that all of the Ahadith in Sahih Muslim are authentic. 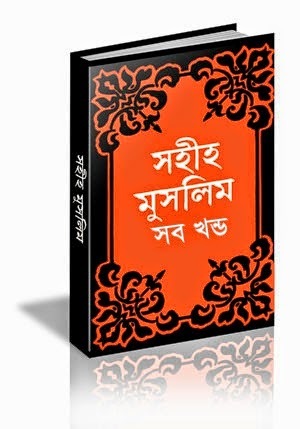 Thus, IslamiBoi realized the great benefit of publishing the internet version of Sahih Muslim in the Bangla language in the best presentation. Right Click on Download > Part -1-6 any & Click on Save Link As. Then it will start downloading automatically. Assalamualaikum, priyo Admin vai pdf file er vitorer arbi lekha gula aro sposto korle sohih suddho arbi ar bangla duitai amader pora hoye jay... Tai file gula upgrade korar chesta korben..